The Long Night Against Procrastination starts Wednesday, March 20 at 7:00pm and runs until Thursday, March 21 at 3:00am. Starting Wednesday, March 20th at 7:00pm and running until Thursday, March 21st at 3:00am, the Long Night Against Procrastination is a free, extended-hours event providing a safe place for students to study/write during a critical point in the semester. The event takes place in the Brandon University Library (Main & Music) and the Indigenous Peoples’ Center (IPC). The main floor of the library will be a hum of activity, while the second floor and music will be reduced-noise zones. 7:00pm – Get your study on!!! 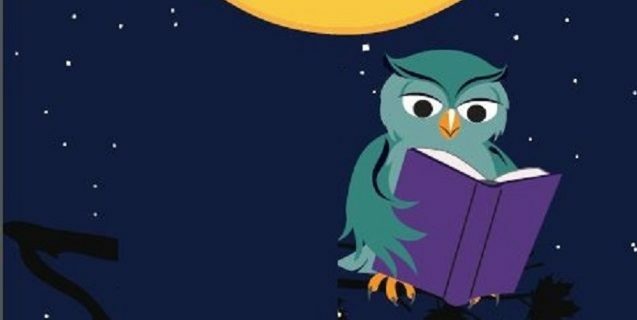 Brandon University’s Long Night Against Procrastination is organized by The John E. Robbins Library, Student Services, IT Services, BUSU and the BU Alumni Association. The Long Night Against Procrastination originated at the European University Viadrina in Germany in 2010. Since then, it’s become a worldwide movement, with the University of Manitoba** offering the first LNAP in Canada in 2011. **BU thanks the University of Manitoba’s Academic Learning Centre for inspiration and permission to use “Long Night” information.